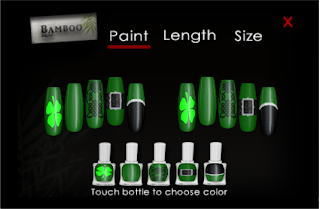 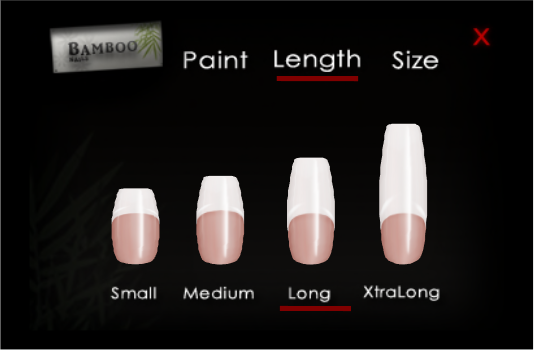 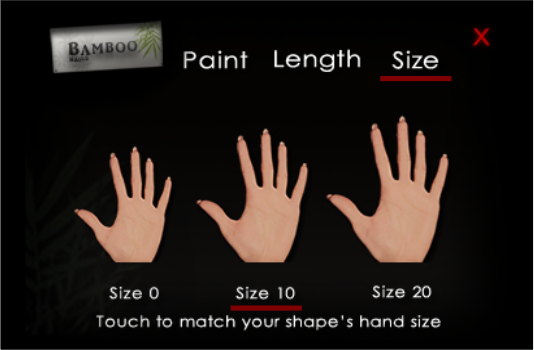 [Bamboo] Nails! Shown are: Atlantic Flags, Golden, My Valentine, Satin, Touch of the Irish, and Latex styles. 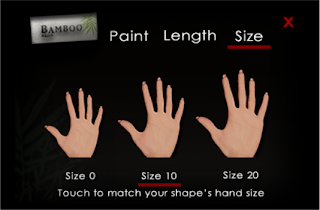 Simple to use and outright awesome! 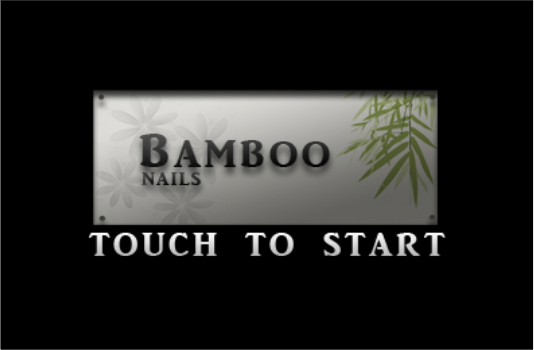 Stop at the [Bamboo] Nails store to check out all the many styles!